TJ Formal Dress Blog: Avoid Wedding Dress Blues - DON'T BUY from Knock-off sites! 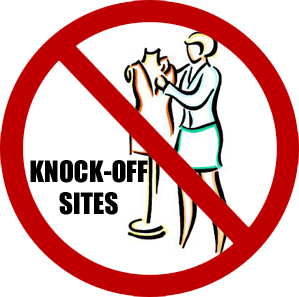 Avoid Wedding Dress Blues - DON'T BUY from Knock-off sites! Very Important! You will not get a designer dress unless you buy from an authorized dealer for the designer. These knock-off sites can duplicate the designer labels as well as the dress but the quality and style will not be exactly the same ... you'll get what you paid for, or may not get anything at all. Buyer beware - especially for your life's special occasions! Always someone trying to rip us off! THANKS for the great information! I guess if a dress seems to cheap to be true it probably isn't!